Manage driver routes, speed, turns, checkpoint performance, etc. Identify which vehicles most need preventive maintenance to avoid costly breakdowns. Improve your project management with reports that detail actual mileage and vehicle performance. Find your driver's location, even on private roads, in more than 60 countries. 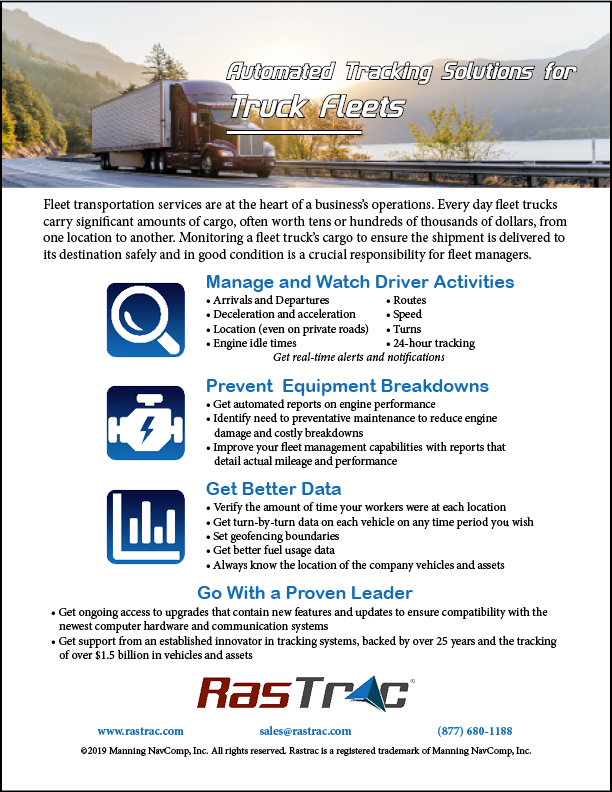 Truck Cargo Thefts Are on the Rise: Are You Tracking?